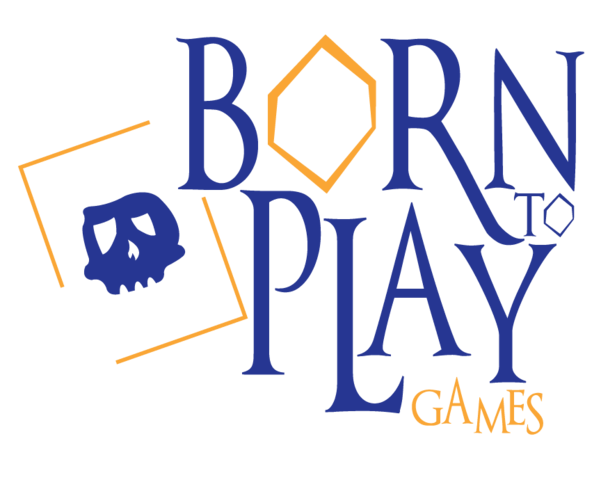 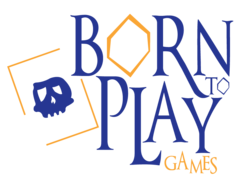 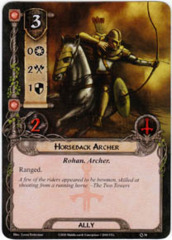 This product was manufactured by Fantasy Flight Games for distribution in North America. 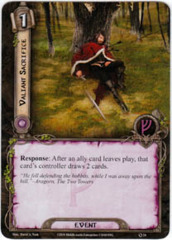 Depending on the printing, it may not have the most current errata. 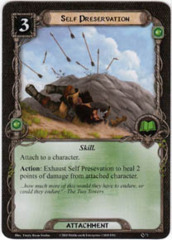 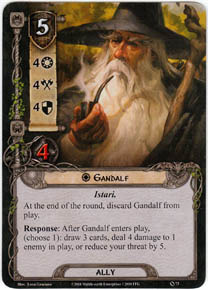 Text: At the end of the round, discard Gandalf from play. 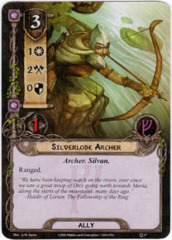 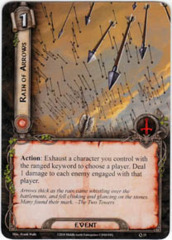 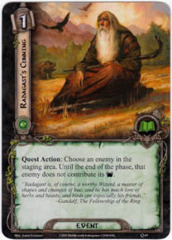 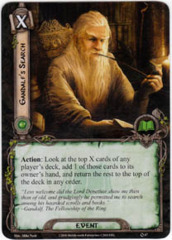 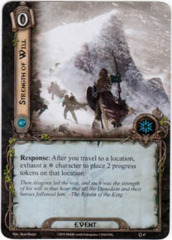 / Response: After Gandalf enters play, (choose 1): draw 3 cards, deal 4 damage to 1 enemy in play, or reduce your threat by 5.